Environmental issues appear deceptively simple: science tells us what the problems are and how to solve them, and, for Christians, the Bible motivates us to care for creation. And yet, both in society in general as well as in the Christian church in particular, we cannot seem to agree on what to do regarding environmental issues. 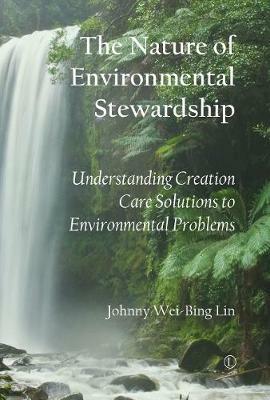 In The Nature of Environmental Stewardship, climate scientist Johnny Wei-Bing Lin argues that determining the content of environmental stewardship, far from being a straightforward exercise, is a difficult and complex endeavour. He sets forth a general taxonomy, drawing from worldviews, ethical theories, science epistemology, sciencepolicy studies, politics, and economics, that can help us better understand what excellent creation care consists of and how to bridge the differences people have regarding environmental issues.